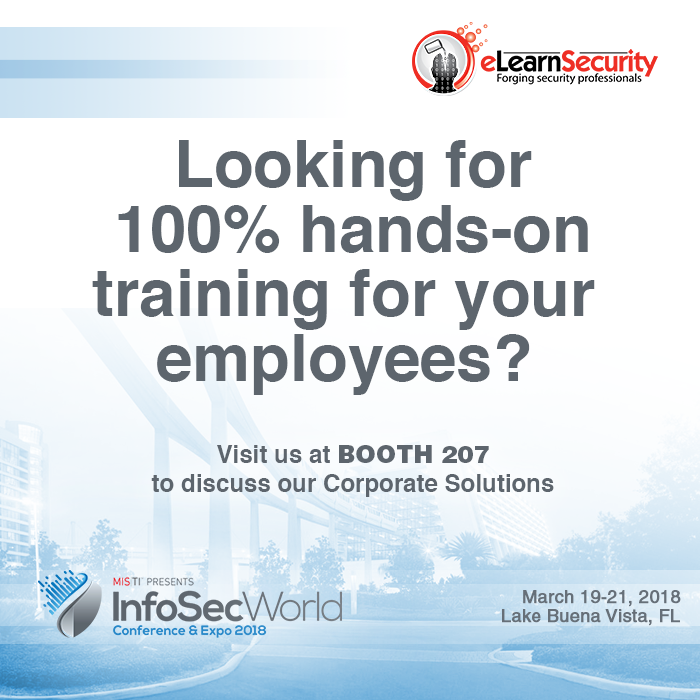 With the Information Security (InfoSec) world constantly changing, security professionals must have the skills to ensure optimal security within their organizations, despite the progressive threat landscape and all the new cutting-edge strategies to prevent such events from happening. 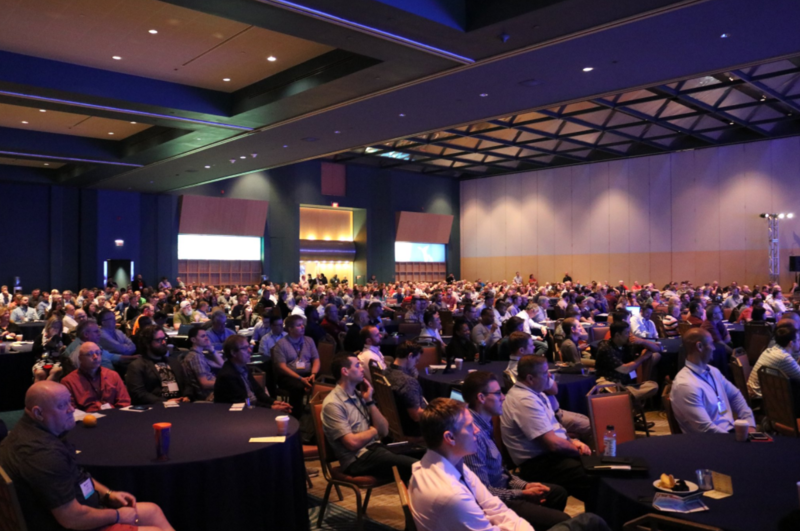 Don’t forget to drop by Booth #207 with your Passport-to-Prizes for your chance to win a Penetration Testing Student – PTS training course in Elite Edition! For the companies eager to boost the skills of their Penetration Testing team with advanced and 100% practical training courses, we might just have the perfect tool! —Drop by Booth 207 to discuss our Corporate Solutions or request a quote on our website. And of Course, We Have Awesome Students! Thank you to everyone who came to meet the team and said Hi. We were very glad to meet so many of you today, to network and get to know you better. We hope to help forge your IT security skillset and practical experience to get your career where you want it to be. 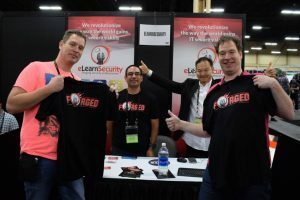 Meet Don & Davide at booth 207, and grab a shirt! 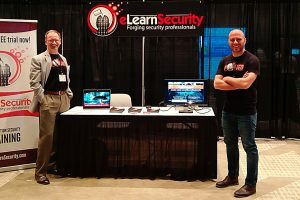 Learn more about how we proceed to revolutionize the way the world gains IT Security skills & join the eLearnSecurity family here.